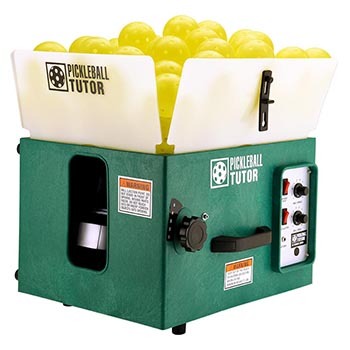 Pickleball Tutor - Battery | Sports Tutor Inc.
Pickleball Tutor can shoot all the shots you need to practice against including dinks, lobs, drives, and groundstrokes, yet is lightweight and portable. This model is battery-powered with oscillator. FREE Fed-Ex Ground shipping. Write "FREE" in the Shipping Instructions box under 'Shipping Address' on the address page.